Here's a handy list of definitions for common chimney terms. You’ll want to know these so you can keep your home repair costs or heating bills from going up in smoke! The chimney is usually located where weather hits it hard. Chimney bricks can crack and crumble. Mortar might degrade. New mortar and bricks are often needed to make it attractive, straight and strong. A metal cap which sits on top of the chimney, protecting it and the flue from moisture, debris or animals. There are all kinds of flue caps available. They look great, but they are more than just decorative. Buy one for protection, too! An external covering which seals the top of your chimney. Chimney chase covers prevent water leaks and the resulting damage. If you need to replace your chimney chase cover, be sure to choose one less prone to rust. Soot builds up on the chimney liner. The amount will vary, depending on what type of wood you burn. Obviously a chimney cleaning is the only answer. Be sure to have your chimney inspected each year. A severe buildup could cause leaks, cracks or even chimney fires. Sheet metal installed where the chimney meets the roof. It keeps things watertight with two layers. 1) Step flashing is L-shaped sheet metal worked under the shingles and up the side of the chimney. 2) Counter flashing is sheet metal embedded into the chimney and folded over the top of the step flashing. The duct, opening or pipe in the chimney through which gas from the fireplace escapes. Be sure to keep this closed when the fireplace is not in use. If you don’t, your heating bill will skyrocket. The flue will be pulling the heat up the chimney and out of your house. Older chimneys flues are often cracked and damaged. Resurfacing is done with a chimney liner repair system which stops hazards and draft problems. Sometimes, chimney flue joint repair is not only better but cheaper than relining your chimney with an insert. Any blockage in your chimney must be cleared immediately. You’ll probably notice smoke backing down your fireplace. Call for a professional chimney inspection immediately. If the blockage is combustible, you could risk a chimney fire. Chimney fires can become house fires. Schedule a chimney inspection every year before or after winter. A certified professional who is trained and qualified to properly inspect your chimney and make the proper recommendations to clean up any problems which are present. 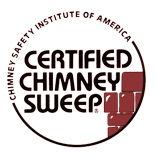 Make sure your inspector is certified by the Chimney Safety Institute of America (CSIA). A new chimney pipe needs to be installed to an existing chimney as a liner to prevent creosote buildup on the inside of the chimney. If your chimney has cracks or more serious damage, chimney repair will involve new mortar and bricks. It is essential for your chimney to be restored so it is structurally sound. Relining is needed when the inner clay liner is cracked or damaged. When a chimney is no longer ventilating smoke, creosote and soot, it’s time for a chimney relining. Instead of completely replacing the chimney, you can have a new liner installed to protect the chimney’s inside. Same result, significantly less hassle. Your chimney can have ugly smoke stains on the exterior which harm the outside appearance of your home. Smoke stain removal is the solution. A professional chimney service provides excellent cleaning to restore the chimney’s appearance. When the brick of a chimney begins to crumble off, this is known as chimney spalling. Often caused by an excess of moisture, a professional chimney technician is able to fix the problem immediately. A professional service offered by qualified cleaners. Your chimney is literally swept (vertically) to thoroughly clean it. 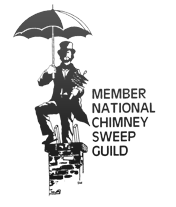 You should schedule a chimney sweeping annually. Short Description: Packing fresh mortar between the existing bricks of your chimney. This eliminates leaks, improves structural support and restores the attractiveness of your chimney. Long Description: As a material, bricks can last for a hundred+ years. However, the mortar that holds those bricks together has a drastically shorter lifespan. When the mortar begins to deteriorate, this causes the positioning of the individual bricks to begin falling apart. Likewise, the appearance also suffers. Weather plays a vital role in this process. While tuck-pointing can seem like an unwanted expense, hiring the right masonry expert to complete this task is FAR more cost-effective than tearing down the chimney and building a brand new one. Filling in mortar between the existing bricks of your chimney will eliminate leakage, and substantially prolong the longevity of your home in both appearance and functionality. Short Description: A layer of cement mortar used to seal the top of the chimney around the flues. Long Description: The chimney wash is also commonly called the chimney crown. Many times homeowners will hear chimney wash and assume this is a process of actually washing it like one would the dishes. This is not the case! In fact, the purpose of the chimney wash/crown is to prevent moisture from affecting your chimney. The coat of cement mortar applied to your masonry chimney is what will stop water from seeping down the center, rotting the inner walls. 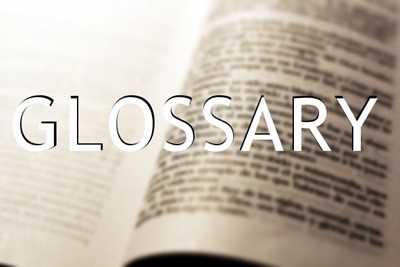 Short Description: A dark brown or black flammable tar deposited from especially wood smoke on the walls of a chimney. Long Description: A byproduct left behind when wood is burned in your fireplace. Creosote condenses on the chimney walls when hot gasses meet the cooler surface. The condensed material is highly flammable and can cause a serious fire. Burning wet wood inside your chimney is often a culprit of creosote buildup. Likewise, when unseasoned wood gets thrown onto the fire, the smoke it gives off carries the creosote along with it, so creosote travels all the way up your chimney. Your solution is simple: to have the creosote cleaned off. And fear not! The best chimney technicians all specialize in creosote removal services. Short Description: The lint buildup in your dryer vent is a serious fire hazard when not regularly cleaned out. Long Description: Lint builds up in your dryer exhaust tube, blocking airflow. The hazards and other downsides of this occurrence are tragically common, yet few people are aware of the issue. The build-up of lint in dryer vents drives up your heating bill, gradually ruins your dryer, and may even cause a fire. Think this is a mere scare tactic? Over 15,000 clothes dryer fires occur in North America every year. Have the vent regularly cleaned with a thorough, professional dryer vent cleaning. Have a question about a chimney issue not covered here? Contact our Wisconsin Chimney Technicians today!